Iakovos is a Senior Executive with track record and years of success in operational & financial positions delivering demanding growth objectives within diverse, conflicting & rapidly changing multinational environments. Successful in crafting relationships across levels and key internal & external stake holders, identifying & seizing control of critical problem areas and delivering on results and commitments. Business focused, and performance driven. Led and motivated diverse teams across EMEA & co managed P&Ls exceeding $ 450 million revenue. 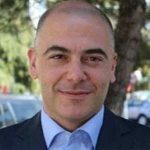 Currently is the General Manager in Valeant Pharmaceuticals International for Greece, Cyprus, Malta. In the past he held various positions within Valeant such as Regional Finance Director CEMEA (Turkey, Middle East, Africa, CEE, Baltics, Balkans, Adriatic, Greece), Regional Finance Head Central & S.E. Europe, Middle East, North Africa & also CFOfor Greece. He has been working also for Bank of Cyprus Ltd., Headquarters, Athens, Greece. He studied at the CASS Business School, City University, London holding MSc in Investment Management, Distinction. He graduated from Athens University of Economics and Business, BSc in Economics, Distinction. He speaks English, Excellent (Proficiency) & German, Very Good (ZERTIFIKAT).